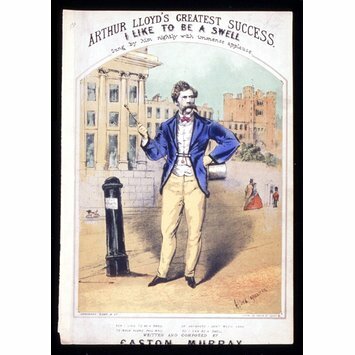 Music sheet cover for 'I like to be a swell', written by Gaston Murray, sung by Arthur Lloyd, ca. 19th century. 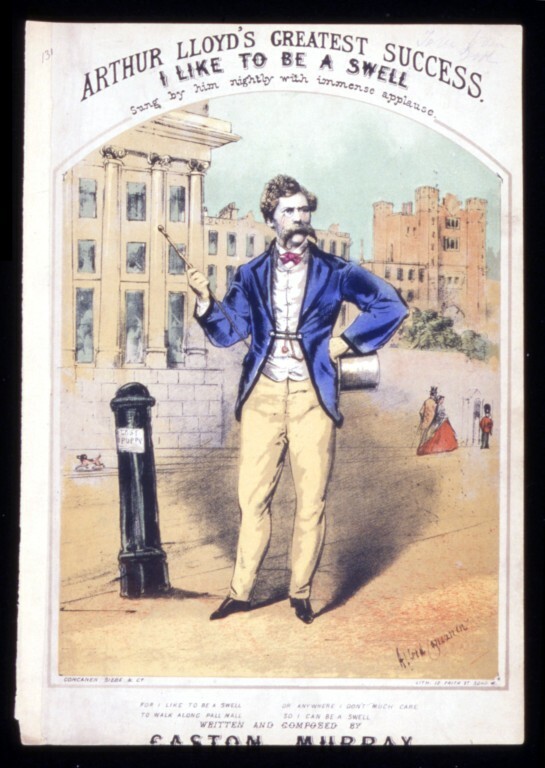 Arthur Lloyd was born in Edinburgh in 1839 and his first engagement as a singer was at a tavern in Glasgow. He first appeared in London at The Sun Music Hall in 1862 and then moved on to the Canterbury. He was one of the fashionable 'swells' or 'mashers' of his day, a contemporary of George Leybourne and The Great Vance. Lloyd lived to be called 'the last of the lions comiques' as Vance and Leybourne both lived fast and died young. This song 'I like to be a Swell' was a hit in 1865. Cover of the sheet music for 'I like to be a swell'. In the centre, there is an image of Arthur Lloyd. Credits of the song are printed above and below the image.